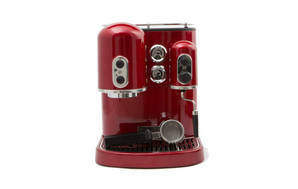 Snapshot: The KitchenAid KES2102 is a manual espresso machine with a cup warmer but no automatic turn-off function. Can it make a good coffee? Long heat-up time (6 minutes).